3rd April 2019 – Last time out we decided to speak about Luck. As it turned out, we were a week early. Or perhaps a week late. 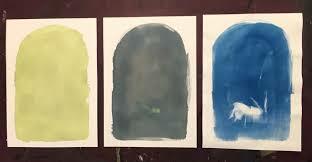 Or maybe the best moment to talk about luck has not even arisen yet. Imagine that. God knows, there’s something creepy going on at Anfield that will make all those of a blue persuasion watching this title race break out in a cold sweat. Liverpool, like an eel in a plastic bag, just keep wriggling until they’re where they want to be. 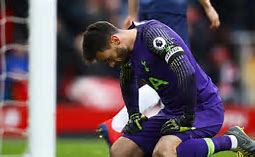 At the weekend, Hugo Lloris became the fourth goalkeeper to pause for thought at the wrong moment against Liverpool when he gifted the points to the needy, increasingly scattered but grateful opposition. After Jordan Pickford’s improbable gymnastics to gift Divock Origi an injury time winner in the derby and Julian Speroni’s bout of without-the-oven-gloves-this-potato’s-way-too-hot for Palace in front of the Kop, last week’s shenanigans involving jittery Fulham custodian Sergio Rico had encouraged the Luck column. And now Lloris, even more fortuitously, flaps at a weak header from Mo Salah, fails to hold it, instead patting it gently onto Toby Alderweireld’s boot. Time kind of stands still, thinks about its posture and its attitude towards salmon farming, then moves gently into Last Minute Liverpool: The Belgian stubs his toe instead of getting his body to react “normally” and toe end it into the crowd, and the ball dribbles apologetically into the Tottenham net. 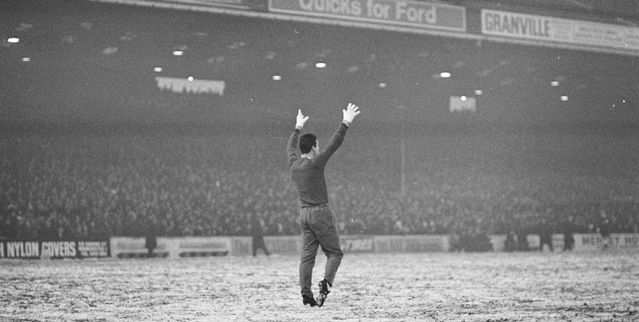 There are no minutes left to play and there is nowhere but a hole in the ground to park your head..
A match that had been turning irrevocably Spurs’ way was now not even going to render the Londoners a point. A minute before the aberration, Spurs third counter in as many minutes had left Moussa Sissoko closing in on Alisson Becker. Moussa is a strapping lad, full of bursting physical intent but, as he came closer to the goal, you could sense the terror gripping his brain, as he glanced three times towards the fast-supporting run of Son Heung-min off to his right, whose goal-scoring instinct would have allowed him a no-nonsense finish to torpedo Liverpool’s title bid. Sissoko knew this but so did Virgil van Dijk, watching intently the Tottenham midfielder’s bulging eyes and quivering legs. Blocking his pass route to Son, Van Dijk took a monumental risk, forcing Sissoko to take responsibility for the goal attempt himself. The Dutchman was right to risk. 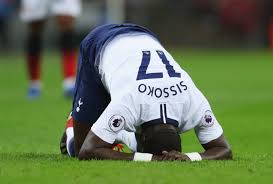 Sissoko hit his shot with the conviction of a man who knows his flies are open but daren’t look down and Liverpool were off the hook to mount one last high ball charge on Lloris’s goal. Bingo, that worked too. A succession of hopeful ballooned punts ended on Salah’s head. The weak header goalwards shouted “we gave up ages ago”, but Lloris had not finished. He had not given up. Patting the header onto Alderweireld’s foot, he watched as his handiwork resulted in Liverpool’s winner, the slick-haired Belgian immediately nailing the stooge role in this comedy coupling. With this kind of thing going on, you were tempted to suggest they bring the next Brexit debate to Anfield, where it would be on the cards Michael Gove and Boris Johnson would miraculously fall into a big hole, David Davis might say something, one thing, coherent and Jeremy Corbyn would suddenly grow a pair of golden balls. Hell, we could go the whole hog and vote Julian Speroni in as interim Prime Minister. The entire mess would be cleared up in the space of, what, 94 minutes or so, give or take a minute or two for critical late votes to sneak in past an unsuspecting speaker. Neither Brexit nor the Premier League title race is close to a conclusion. While one brings only pain and distraction, the other brings only pain and distraction. Watching City’s calm demolition of a desperate Fulham side and a supine Cardiff - already flattened by their own ill luck against Chelsea - while not even exiting second gear, the thought occurred that – for all Liverpool’s desperate bravado – it is far from inconceivable that this could all end badly for the Blues. Cool, calm and collected as they look, there are still trips to Palace and Spurs and United to negotiate. No doubt Stretford’s finest will be up for the fight, and Selhurst Park has been a notoriously twitchy venue down the years (and a tearful one for Liverpool too in this context, of course). Spurs have three games against City to put right their Anfield mishaps. The flipside is City's imperious handling of matches, a kind of breathless gliding that exudes control and savoir faire. With Kevin de Bruyne showing glimpses of last year's form at last and Fernandinho strolling back into fitness, the only shadows hang over the young revelation Zinchenko and the old warrior Aguero. Chickens must not be counted, although this side looks capable of staying the course. Liverpool, worthy opponents along this ever-twisting road, are clinging on manfully. City have leapfrogged them again, but the next instalment is coming swiftly. 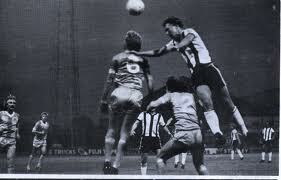 Can Southampton put a dent in where Fulham and Spurs have failed? Certainly, no love is lost between the clubs as Southampton’s recent history as a feeder club to Liverpool has not gone down well with the locals. With points at an absolute premium, we can expect a riveting battle. Liverpool, nervy and disjointed of late, will be hoping their luck holds, but it has to give somewhere, sometime and St Mary’s looks as good a place for a change as any. 3rd April 2019 – “Please be ‘Spursy’, Spurs”. Those were the four words I wrote in the last instalment of this bias-fuelled take on what continues to be a thrilling Premier League title race. And my God Tottenham came up trumps. Liverpool have been magnificent this season, but recent weeks have seen dominant all-round performances replaced with shaky, unconvincing displays. Every great team experiences such periods, so it is nothing to be ashamed of. The difference is that Reds sides of the past would have crumbled a long time ago now. This group of players are the most mentally resolute at Anfield in 30 years, though, led by a special manager in Jurgen Klopp. The Spurs game was another harrowing experience, in a match Liverpool did not deserve to win. Mauricio Pochettino’s side have consistently been the best side to visit Anfield in the last two or three seasons and they impressed again. Liverpool had a chance to put Spurs to bed after Roberto Firmino’s opener, but as was the case against Leicester and West Ham recently, they got sloppy and allowed their opponents to equalise. Then there was the Moussa Sissoko moment - an incident that drew comparisons with Eidur Gudjohnsen’s last-gasp miss in the 2005 Champions League semi-final second leg. It could be equally as big come May. As the midfielder raced through, images of Willian tapping into an empty net in 2014 came flooding back, and the dream was on the cusp of dying. Then Virgil van Dijk decided to show why he is the world’s best defender, closing off the space to Son Heung-min and forcing Sissoko into a shot with his weaker left foot, before he blazed over. be crowned champions in May - nice try with the reverse psychology, lads - but we’re not stupid. People were saying exactly the same thing in 2014 and during last season’s Champions League run. Look how they both cruelly panned out. I mentioned last time that luck was going to play a pivotal role in the title race and there is no doubting that Liverpool benefited from it against Spurs, and have done numerous times this season. 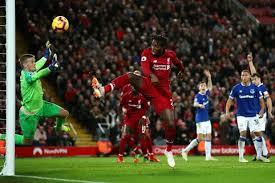 Hugo Lloris’ mistake can sit alongside the goalkeeping howlers produced by Jordan Pickford and Julian Speroni at the Kop end, and Toby Alderweireld’s subsequent own goal was a hugely beneficial moment. As stated previously, though, I firmly believe Liverpool are due some luck in a title race, biased though that may sound. Let’s not kid ourselves about them having all the luck, though. Winning breeds hate, which is why so many are being left infuriated by ‘Lucky Liverpool’, but they have experienced plenty of misfortunate as well. Examples include: the ball being millimetres from crossing the lines against Man City, Vincent Kompany avoiding a red card in the same game and Naby Keita not winning a penalty late on against Leicester. I could go on. Have the Reds been lucky? Absolutely. Is it the key to their title charge? Not in the slightest. If you think that, take up rugby. I’ve spent an awfully long time speaking about my own team when I should really be focusing on City, but everything is a little low-key and frustratingly easy for them at present. Their fixtures seem eternally easy, there are no dramas whatsoever and they are serenely getting closer to achieving what would be the most remarkable of quadruples. I can’t remember the last City game I watched with any great interest, simply because their matches have been so routine and lacking in drama. The Fulham game followed a pattern that has become the norm this season: gift City an early goal and let them saunter through the rest of proceedings. potentially flagging. What a footballer he is. It is easy to put a pessimistic stance on any of the Reds’ remaining games, but the trip to St Mary’s does look awkward. It is a Friday night game with the whole country watching, and the home crowd will be fired up, particularly as they loathe Liverpool for signing all their best players in recent years. Saints have also won their last two games and remain in need of points. Get through that and it will be another significant three points for Klopp’s men, ahead of what becomes a far more taxing run for City.